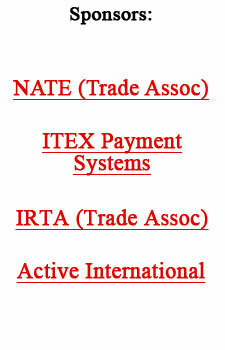 ITA/NTA is the largest independent trade exchange in North America. They area a member of NATE and IRTA. Jack Schacht is past president of NATE. There?s No Room For Empty Hotel Rooms! It was travel director Jennie Moore’s first week at Illinois Trade Association (the largest independent trade exchange in the U.S.) and it was one heck of an introduction to the world of barter. “Almost my very first project was a request for a convention to be held at one of our hotels in the South,” says Moore. It was a neat place—I’d been there for cash some years earlier with my husband—but construction being done nearby had made their business fall off. Lo and behold, the same day I received a request from a client to hold a series of mega-seminars in just the location where the hotel was. “That was the good news. The bad news was that the client requesting the seminars, a major carpet installation firm, had recently spent about all his trade dollars with some of our contractors to renovate his facilities. Often, when a client has a good track record as this company did, we extend credit. Moore told both clients she would get back to them the following morning and find a way to work it out. “But there didn’t seem to be a way,” Moore said. The IF was this: Instead of using all his barter dollars for advertising this time (the majority of hotels barter rooms basically to advertise in order to get more cash business) I asked him what else he might need. Of course, if he needed carpeting, it would have been a perfect fit. But he didn’t. In fact, he didn’t need anything but advertising. Inspiration took over. “Didn’t I read where the owner of your chain is an avid sportsman who fished almost every place in the world?” Moore asked. “That’s right. He’s about to leave to try and hook some—something off the shores of Australia. I think I heard him say that the only place he had never fished was the North Pole,” the hotel director replied. “I just may know how to fill your seminar rooms,” Jennie answered. The attractive ITA executive, a true believer in barter who gave up a potential career on network TV to join ITA, extracted the private number of the hotel chain’s owner...finally reaching him at his home late that evening. The next morning, in between a dozen other barter deals, Moore called fishing lodges in Wisconsin and Michigan. Finally, she found one that would charter an expedition to the Arctic Circle—and needed all their rooms carpeted! She put the carpet client together with the lodge (thus assuring him the trade credits to use the hotel) and allowing the hotel owner to take a fishing trip to the one place that he’d never been. A barter arrangement like that, needless to say, is the exception rather than the rule. The bottom line of barter, where hotels are concerned, is to fill unused rooms and get advertising in return...or hard goods such as carpeting, linens, and fixtures. Michael Fear of the North Shore Hilton, a northern suburb of Chicago, participated in another minor miracle of barter. “We had a bus, a beat-up old thing that wouldn’t have lasted another six months, which had been used for years to shuttle people to and from the hotel,” he recalled. “We took some of our barter dollars and went to one of ITA’s auto body members. Now the van is like new! It’s one of those before/after stories.” The hotel also acquired vacuum cleaners, plus paving and striping for its huge parking lot on trade. Which brings up another fascinating bonus of barter: trade dollars often turn out to be worth more than cash dollars. One ITA executive, for example, booked a trip on trade to an exotic Caribbean island. Her hotel suite was huge and plush and could accommodate four. So she took three girlfriends—each of whom paid her in cash to share the space for one week. What they paid was half of what they would have had to pay. But the cash to the executive far exceeded the trade dollars she had to use for the vacation. By networking basically every major American metropolis and North American preferred vacation spot from the exotic Radisson Inn on Sanibel Island to the plush Valley Hilton on the West Coast, and countless others around and in-between, Illinois Trade Association has become a barter benchmark for hotel/travel. The bottom line is few empty hotel rooms for those who are members of ITA. The reason? President Jack Schacht insists that not only are the friendly skies not the limit, but that barter be built upon bedrock reality. “We are not order takers at ITA,” Schacht stressed. “Every trade is based upon educating both the hotel and the client to having their best interest met. For example, we know some people are $10,000 traders (annually) and some are quarter-of-a-million dollar traders. Hotel rooms should never be delivered until confirmation that media or goods/services are secured. Any period of the year when hotels project they will be more than 80% occupied should be “blacked out” for trade. However, that should not exceed two months a year or it will be difficult to establish regular trading. The best way to achieve large media buys for hotels is to accommodate seminars and conventions. It is important to understand that while hotels can deal directly with the media, media may not need that particular hotel. Because barer has so many potential matches, companies like ITA have become experts at media buys and, of course, can provide much more than media for the hotel. In the last decade, there has been a significant change in the marketplace. Due to mergers and acquisitions, margins for many retail categories have shrunk so much that we have seen the demise of many of those retail categories in the small business arena. Even though new retailers are coming-in and going-out of the marketplace all the time, tighter and tighter profit margins are making barter a less attractive option for them. The growth of the Internet and globalization have also made competition very intense forcing most companies to either increase productivity or go out of business. Bob Meyer pointed out in the last issue of BarterNews, ?We used to think we didn?t need chiropractors, podiatrists, and massage therapists. Now they?re keeping us in business.? According to the New York Times (2/20/05), small manufacturers are also struggling or going out of business. ?It used to be so simple. Big manufacturers with powerful brands called the shots. The only decision retailers had to make was whether or not to stock the manufacturer?s product. Then came the rise of Wal-Mart and other big box retailers which turned that power relationship on its head. ?Manufacturers now had to play by the retailers rules?not only about prices but even about product design and production methods. Companies, particularly smaller suppliers, simply can?t match the prices offered to the big chains by overseas manufacturers and thus have gone out of business. The bigger manufacturers have felt compelled to move the bulk of their production overseas, or throw in the towel.? This changing landscape presents tremendous challenges for the retail barter industry. Our changing business environment along with more demanding clients, requires that we make some fundamental changes in the way we do our business. As always we must find the new opportunities in this changing environment. I believe that the increase in the number and the types of service businesses that have recently come into the marketplace represents one of these new opportunities. We, of course, have to learn as much as we can about these new business service categories so we can effectively present them and sell them to our clients. To make any real change in our business, of course, requires that we first see the urgency of the problem. Once we know we have an urgent problem, here is the action I think we should take to continue building a viable barter businesses. First of all, we must continue to drill deeply into those business categories that offer both high gross margin for sellers and high demand from buyers in the marketplace. We must go out and find the excess capacity, excess time, or excess inventory in all of these categories in order to build our trade volume. At NTA these categories are media, travel, restaurants, excess inventory, and a myriad of business services. More importantly, we must improve on selling the products and services within those categories to our clients. Our brokers must view themselves as inside salespeople, and not as customer service people. We must sell what we have, not simply offer what we have available. This shift from a service organization to a selling organization has made the fundamental difference in our media department. Without any increase in the number of clients who buy media, our media department volume is up 25%...merely because we have gotten better at selling the media we have to the same number of clients. The next thing we need to do, however, is a more radical step for most of us in the retail barter business. While we are building our trade volume, we must also aggressively build a base of cash customers to buy our media, our travel, and our excess inventories. Barter markets are shrinking, and we have nowhere to turn but to cash markets if we want to do sizable trade deals in those arenas where trade is most active. There are two important reasons for us to build cash customers. As most of us know, the best way to trade with media, travel, and even restaurants is to use a ratio model, instead of the cash fee model. In using the ratio model, however, we produce no cash revenue from these business categories, and really have no choice but to liquidate our trade profit into cash through a growing portfolio of cash customers. Which leads us to the first reason: If we don?t, it will be difficult to meet payroll and have enough cash to run our companies. The second reason we need this cash track is that there are incredible opportunities to buy both excess media inventory and product inventory at very favorable prices. Many media vehicles, for example, which no longer barter or which are holding too much barter in their account, will offer cash rates on their excess inventory for as little as twenty to twenty-five cents on the dollar. While we can sell this media to our cash customers, we can also trade that media at its full retail price to clients who are highly leveraged in their trade dollars. We cannot do this, however, unless we develop a strong base of cash customers. The successful integration of cash customers and trade customers is absolutely critical to us and will result in more trade volume, more trade revenue, and more cash revenue for our business. The integration of cash markets and trade markets must be done carefully and responsibly. We should neither create additional trade deficits nor should we interfere with our trade clients? cash business when we sell their products or services to our own cash markets. This new integration of cash and trade can be a boom to our business, but if not done properly it has the potential to destroy our business. I have never thought it is a good idea to build our business in a vacuum, and I always try to spend time reading the books of some of our great business leaders. (Since I don?t hang out in their social circles, I at least have access to their books.) In the past, before I?ve taken the company in new directions, I?ve often found the support I?ve needed from these business leaders. NTA, for example, would not be sharing ownership with employees today if it wasn?t for a book I read in the early ?90s called The Great Game of Business by Jack Stack. This book, about the great benefits of sharing ownership with our employees, was extremely helpful to me in building a strong, loyal employee team. Though I have always tried to find and nurture strong leaders within our company, I had never thought of the idea of actually developing a leadership culture until I read Noel Tichy?s best-seller in the late ?90s called Leadership Engine. Today NTA enjoys the benefits of a leadership culture thanks to Tichy?s book. The book that is perfect for our business today is called Leading Change by John Kotter. He is the major contributor of articles published in the Harvard Business Review, and his current book is a best-seller that can be ordered online or picked-up at any bookstore. The book, of course, is about the challenge of implementing change in a company environment. While our challenge today is great, it is not insurmountable. We only need to create our plans and execute them. If we let the realities of the marketplace instead of our egos guide us, I believe we can still build highly successful businesses in the barter industry.